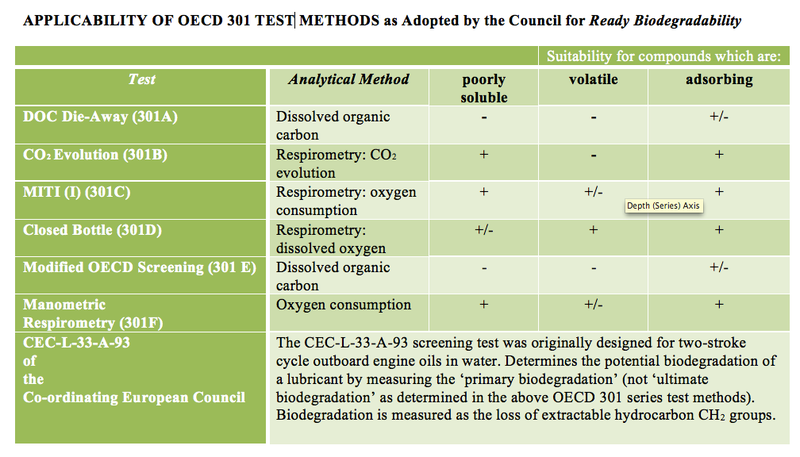 Greener Tox Solutions (formerly PetroTox LLC) is an environmentally-green testing laboratory specializing in OECD biodegradation testing, petroleum toxicology and medical writing services. Greener Tox Solutions provides expert consultation services and specialized testing for respirometry testing internationally in support of product registration, global harmonization and EU REACH requirements. Our multifaceted client services include long-term relationships with major petrochemical and pharmaceutical companies, lubricant and grease manufacturers, environmental engineering/consulting companies, WWTP municipalities, industrial and food grade lubricant companies, hydraulic/gear/additive companies and litigation support. Our toxicology staff has over 50+ years in the petroleum toxicology sector including numerous patents and publications. The respirometry test system is a 20-channel electrolytic respirometer manufactured by Co-ordinated Environmental Services, Ltd. (Cornwall UK). The system is based on a proven oxygen generating process coupled to a sensitive manometric cell. Scope: The test substance is placed in a sample flask and sealed by a manometric cell/CO2 trap and immersed in a temperature stabilized water bath and stirred by a magnetically coupled stirrer. 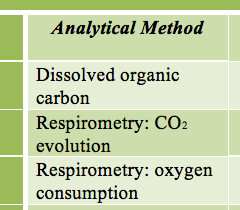 As the biodegradation process starts, the microorganisms consume O2 converting it to CO2 during aerobic respiration. The CO2 produced is absorbed by a solution of 10N NaOH in the CO2 trap causing a net reduction in gas pressure within the sample flask. This pressure reduction is detected by the manometric cell and triggers the electrolytic process. The electrolytic process generates O2, which restores the pressure in the sample flask. The magnitude and duration of the electrolyzing current is proportional to the amount of oxygen supplied to the microorganisms. 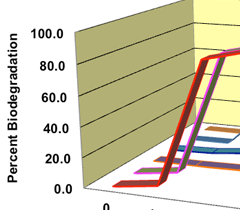 Inhibition values for the test substance will be calculated by comparing the net oxygen uptake rates of electrolytic cells to the net oxygen uptake rates of the control cells. SUBMIT A TEST REQUEST today for a written proposal within 24-hours for your biodegradation and toxicology testing needs. 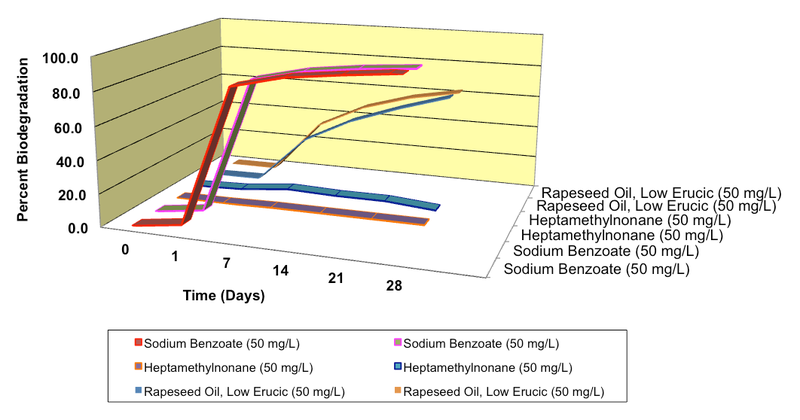 Consistent biodegradation validation results with known test substances for >10 years using domestic WWTP and direct test dosing methods for insoluble materials.